Eckhoff Construction LLC is the right home improvement contractor to contact if you desire to have a beautiful looking and quality under deck ceiling. 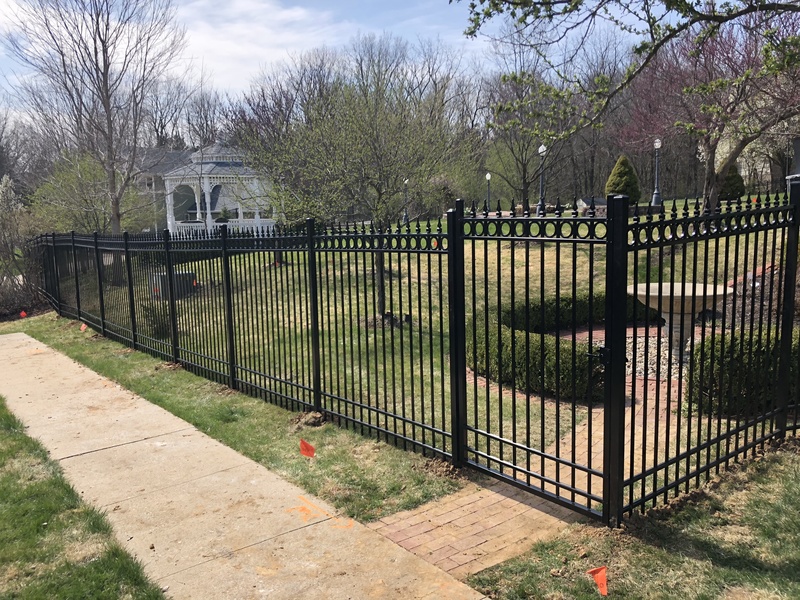 We are among the most trusted residential building service providers in all of Columbia, Missouri because of our professionalism and attention to detail on each project that we do. Our clients appreciate the quality of work that we do as they see each construction phase being done until the final stages of construction. Get in touch with us for your inquiries regarding the residential construction projects that we do, which includes under deck ceilings. Under deck ceilings are becoming more and more popular home additions these days because of the growing interest of homeowners to maximize their living spaces. 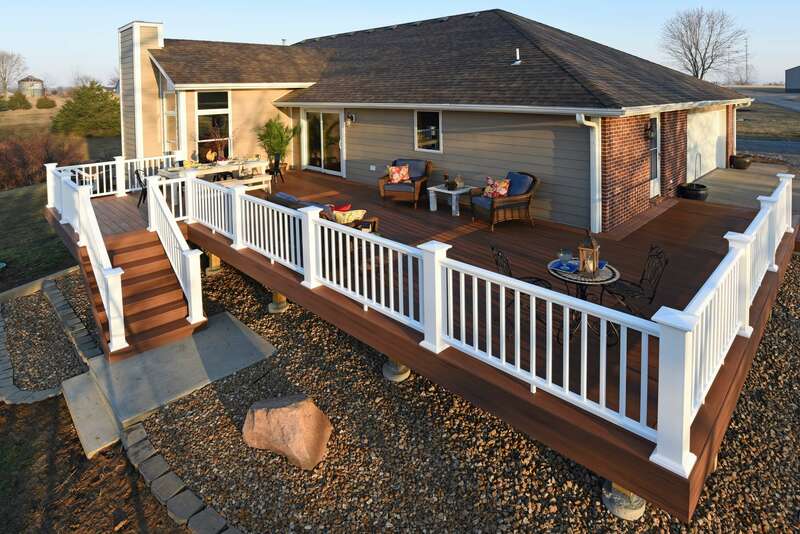 Decks can hold gatherings such as family picnics and reunions on their very own homes. The more time people spend there, the more they realize that a clean and visually pleasing ceiling is an important aspect of their decks. When you decide to have an under deck ceiling built as an addition to your home, you can rely on Eckhoff Construction LLC to present you with the most practical designs for you to choose from. Our service rates are reasonably priced and the project estimates that we provide you are done completely free of charge! All you have to do is fill out the form that we have provided for you on our Free Estimate page and we will be more than happy to lend you our expertise. Home additions are advisable for those who would want to spruce things up regarding their home’s appearance or to improve its structure. Among the popular home improvement projects these days is the under deck ceiling. We have provided you with photos of our finished work on this page, and as you can see, our skills are not just specialized in one kind of home addition. Not only that, the under decks that we build are custom made, which means they are all unique depending on the home’s structure and the owner’s preference. The materials used in building each of them also vary. 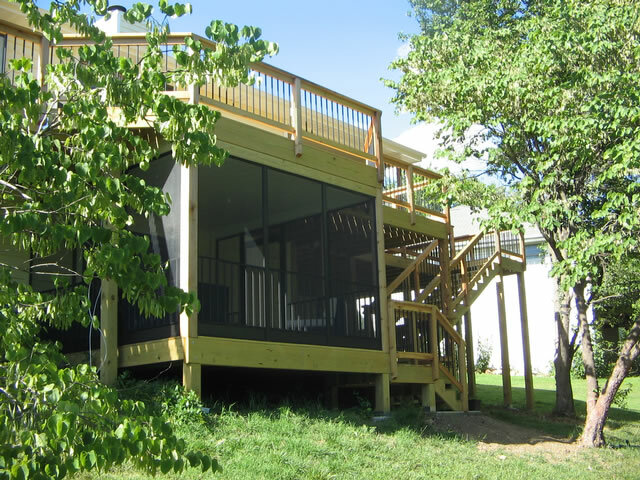 These are proof that our creativity and years of experience surely have made us more than able to compete with other home contractors in Columbia, Missouri, especially when it comes to building deck ceilings. An under deck ceiling is basically a waterproof ceiling that prevents water from seeping through the wooden or vinyl panels. This is one of the advantages of having an under deck ceiling for you will get to enjoy the company of your guests and not be disturbed by the rain as much. You may have gutters added to it as well to serve as a water way. In this way, you need to worry about weather conditions when you decide to have an outdoor party. Make the best choice for the improvement of your home! Once we are done, you do not need to hold your party indoors always. 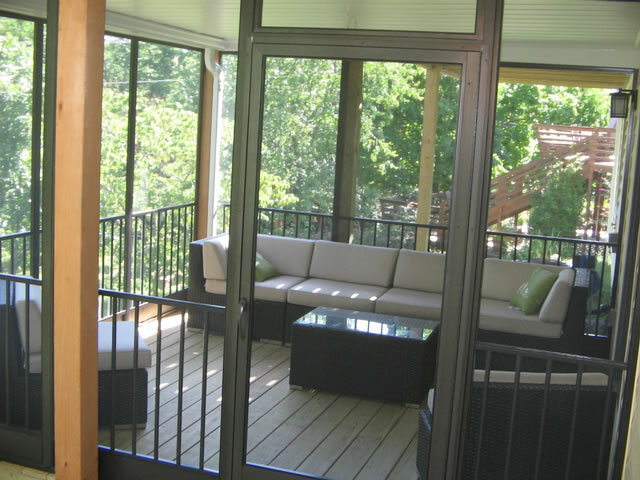 Invite your family and friends over and prepare meals on your well-covered and properly insulated deck. 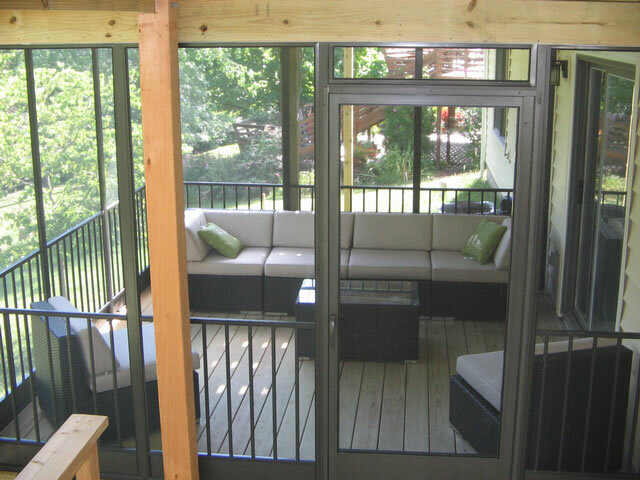 A deck will not be complete without an under ceiling. 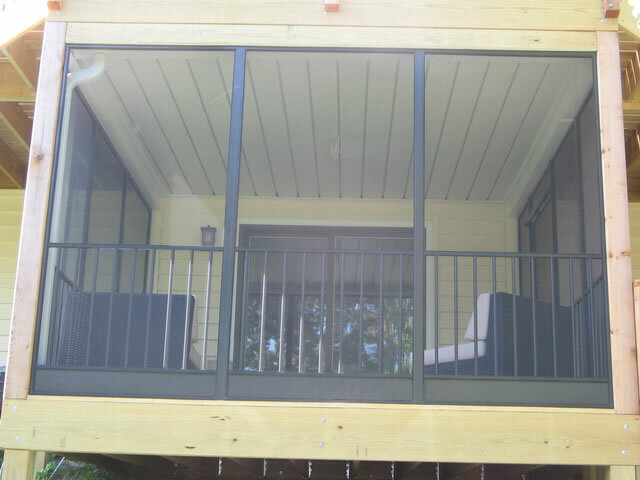 As you can see on the provided photos on this page, the decks look even better when they have under deck ceilings installed. If you want to maximize your living space, you might as well consider having one built to complete the overall appearance of your home addition. As explained earlier, it does not only add beauty but it also serves a purpose. We at Eckhoff Construction give you the guarantee that your under deck ceiling will complement the entire view and functionality of your chosen home improvement project. 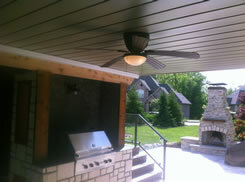 What makes our ceiling projects in Missouri stand out from the rest is our unique touch with the intricacy of the details that can be easily seen once you or your guests come over to your outdoor space. 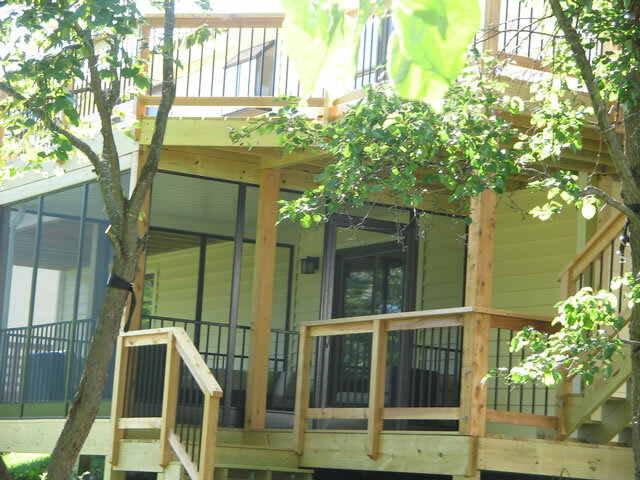 The residential addition services that we provide are reasonably priced and once you see the finished project, you will know for yourself that we only made use of top of the line building materials and equipment. The home additions that we build for you are not just intended for decorative purposes but for you to be able to actually spend time in them. If you are planning on expanding your outdoor space, one great way to do this is to have Eckhoff Construction LLC build a custom made under deck ceiling. Our skilled crew comes up with unique yet functional Missouri ceiling designs for you to choose from. Browse through our finished projects and see for yourself the quality and hard work that we put into each of them. Your satisfaction is surely guaranteed as we will work with you every step of the way starting from the project’s conceptualization down to its finishing touches. Let us help you improve your home, at the same time make it as functional as possible. Call on Eckhoff Construction LLC to assist you in making the most out of your living space as we build you an under deck ceiling that you will surely adore!